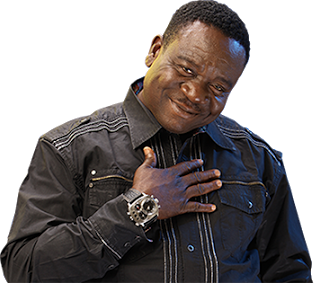 Some people think I am foolish - Funnyman Mr Ibu..
John Okafor, aka Mr. Ibu, commands a huge fan base and he is in fact one of the most popular actors in the country. While many may be willing to trade their limbs for the type of fame Mr. Ibu has, the comic actor is not entirely happy about his status. He told Sunday Scoop, “A lot of people think I’m stupid and foolish because of the roles I play in movies. At times, when I have something meaningful to say, people don’t take me serious as they think I’m cracking jokes. Continuing, he said, “Due to lack of funds, there were times I had to stop schooling, but I always continued after sometime. What a lot of people don’t know about me is that I’m a deep thinker and I like to meditate on issues. For example, I have a lot of plans for Nollywood and I hope the government can pay more attention to this sector. Nollywood has helped to propagate Nigeria’s culture across the world, and even in far flung countries where you wouldn’t expect, they have seen Nollywood movies there. That should tell you that Nollywood is too important not to be taken serious. The industry really needs proper structures. It is not about running to the government and begging for money. Some people would just collect the money and share it among themselves; and that’s part of the reason the industry is still where it is. We have to step up our game as there are many things that can be gained from Nollywood.